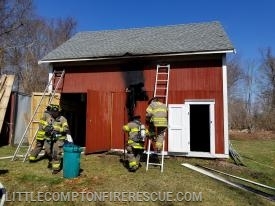 Welcome to the Town of Little Compton Fire Department. The purpose of this web site is to provide you with general information about our department; provide you with specific information about current issue affecting you and your family; update you about our latest incidents and events; and, give you an opportunity to contact us with any questions or comments you may have. Our site is not only designed to offer you interesting and educational information, but also to reflect the tremendous pride and spirit within our department. We maintain a great respect for our history, and a strong sense of duty towards excellent performance in the present, and we look forward to meeting the challenges of the future. 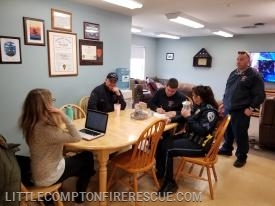 The Little Compton Fire Department is committed to delivering the highest quality of service to the Town of Little Compton in the most effective, efficient, safest, and professional way possible. 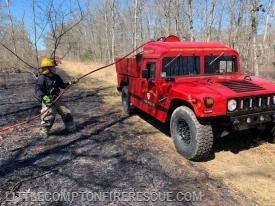 The fire department provides services in fire suppression, rescue, fire prevention, fire inspection, emergency medical services, ocean rescues and disaster mitigation to list a few. 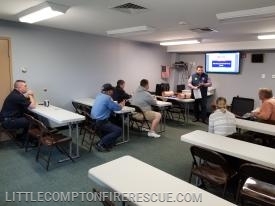 Whether you are a seeking specific information or just browsing, whether you are a concerned citizen of our community, or simply a curious fire buff; we trust you will find this web site helpful and informative. We welcome your questions or comments.